Speakers: April Zehr, Therapeutic Recreation Specialist, Lynne Cooper, Care Coordinator, Southwest LHIN, Kim Ott, Survivor and Phyllis Spencer, Survivor. Leisure activities are an important aspect of rehabilitation, recovery and life for survivors of an acquired brain injury. In this session you will hear about the benefits of leisure activities from different perspectives, including those of two survivors who have used art and travel as part of their rehabilitation and recovery. 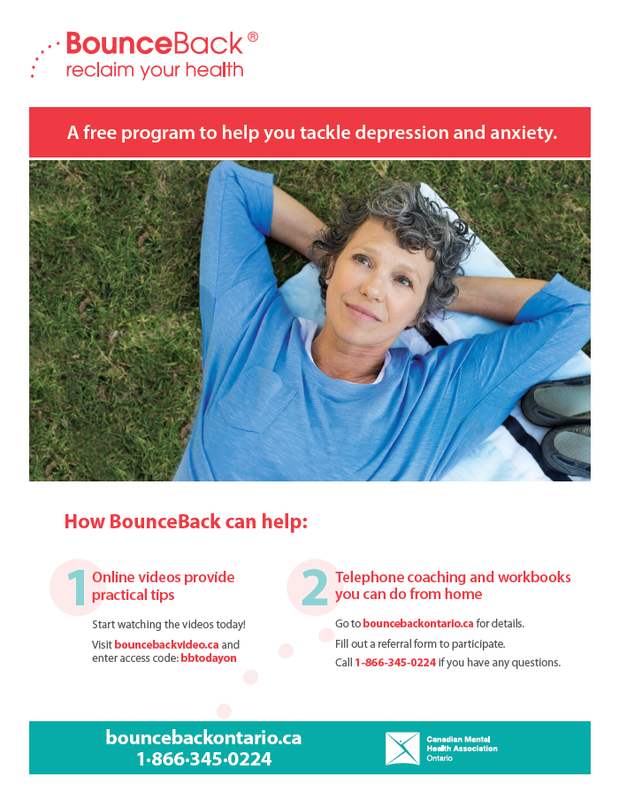 BounceBack®: Reclaim your health is a free skill-building program designed to help adults and youth 15+ manage symptoms of depression and anxiety. It offers two forms of help.